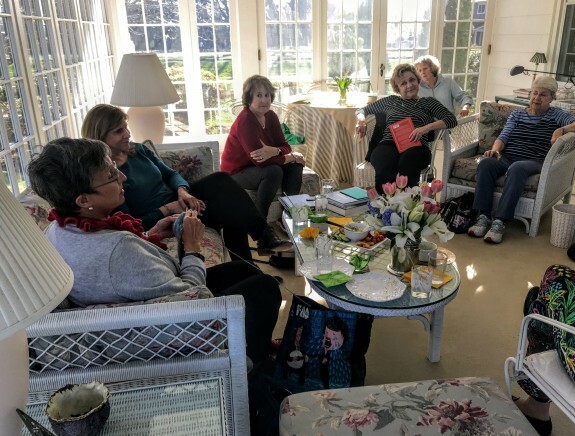 The members of my book club love food as much as they do books. So, when it’s my turn to host the group, I spend a little extra time preparing dishes for sampling during the “very important social hour” that precedes our literary discussion. 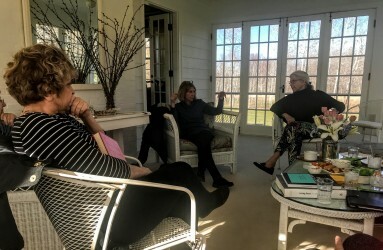 Yesterday, everyone arrived at my house on a glorious spring day (one of a handful so far this season). I had set out a seasonal spread, including a pot of fresh green pea soup with diced feta and tarragon as garnishes, a platter of grilled asparagus spears with a mayonnaise sauce, plus whipped feta with dill surrounded by toasted baguette slices, cherry tomatoes, and cucumbers. 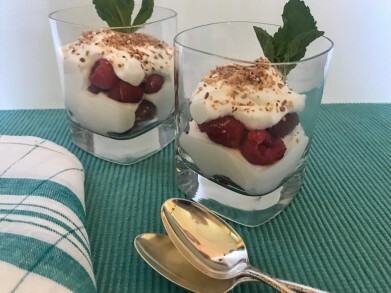 For a sweet ending there were coconut and raspberry parfaits. True to form, the readers ate with gusto, leaving few leftovers! For the past few weeks spring has gradually been making its presence known here in New England. Temperatures reached into the sixties last Saturday, warm enough for us to open our porch. The grass in our yard, blanketed with snow for months, now has a faint verdant hue. And, of course, daylight savings time is offering us longer, light-filled days. All of this has made me eager to change from cold to warm weather cooking. When it comes to fish, my husband is definitely a picky eater. Although he likes shell fish, he is not a fan of other seafood. 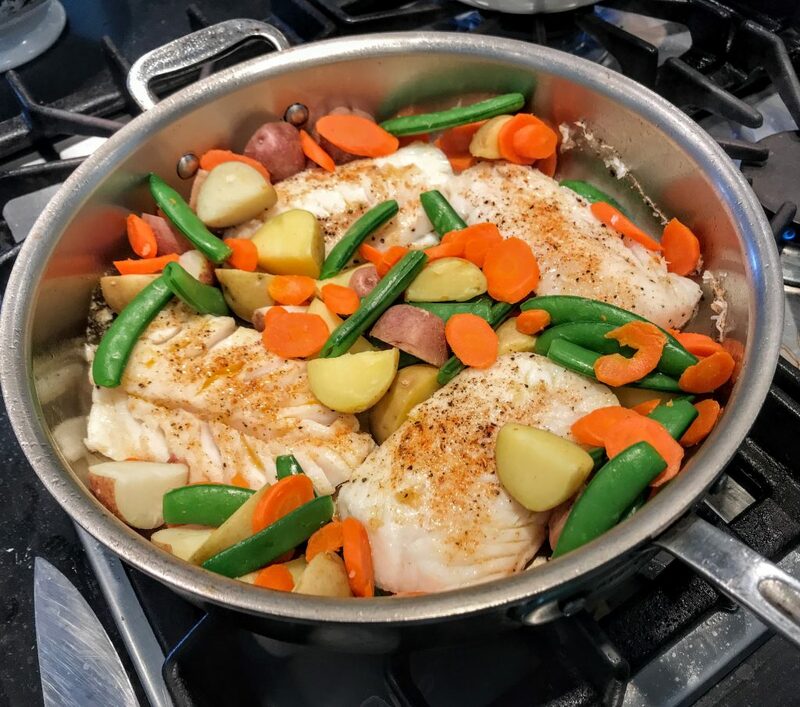 So recently, when I prepared pan roasted cod and vegetables topped with a light but creamy curry sauce, I expected his usual shrug, but instead, he raved about this dish! 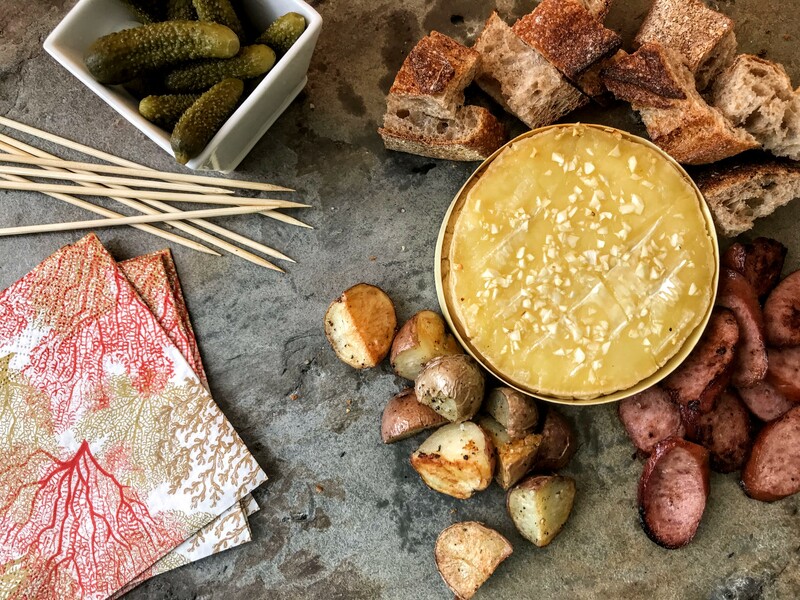 a recipe for an unusual cheese fondue. 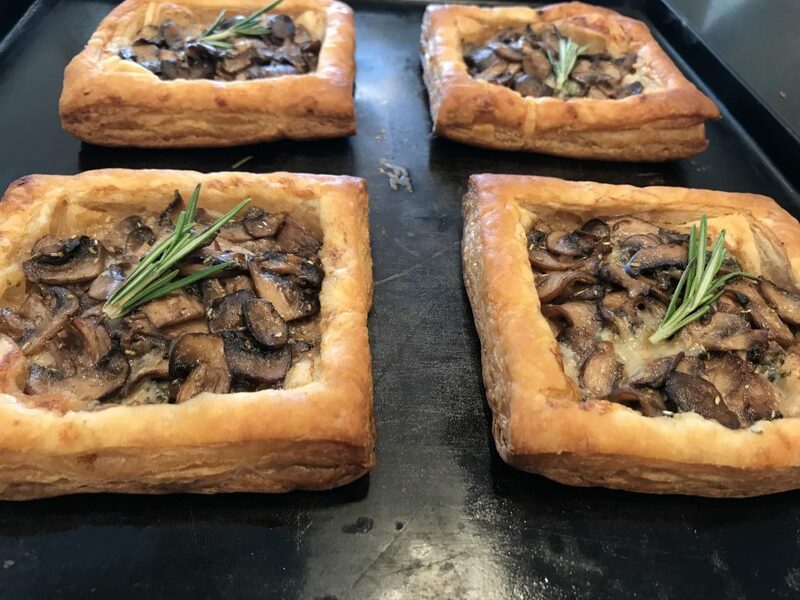 Instead of the traditional version prepared with Gruyère or Emmenthal and served in a fondue pot, this interesting variation was made with a creamy French cheese called Mont d’Or. That round of cheese with its light crinkly skin was heated in the oven in the wooden box in which it was packaged, until it was melted and oozing. and then served in its container. I barely finished looking at the directions before my mouth watered! 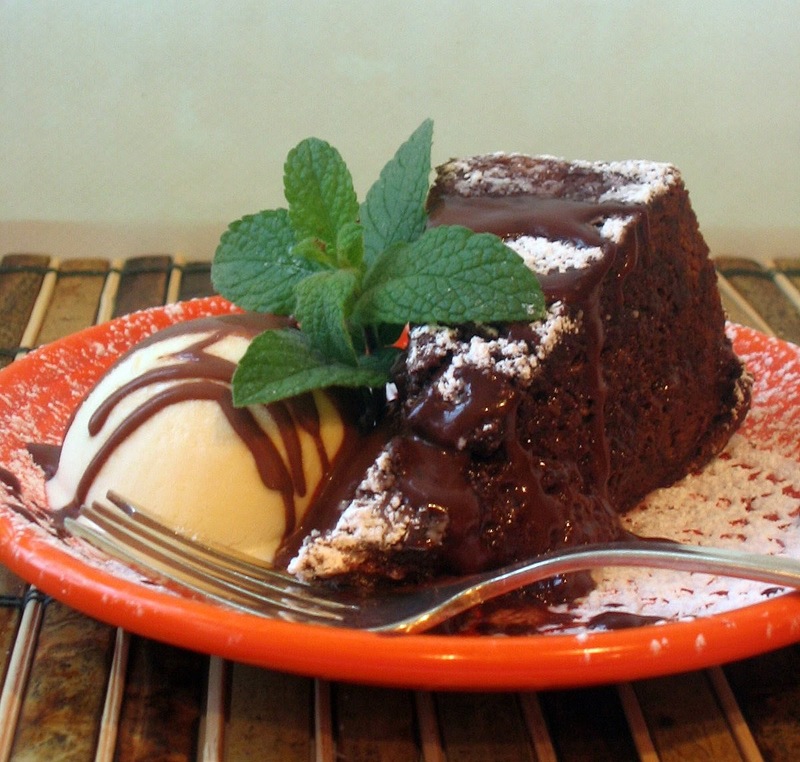 I f you (like me) are just now thinking of making a special dessert for Valentine’s Day, here’s a recipe for a delicious dark chocolate cake that I first baked more than a decade ago. It is not complicated to prepare, and calls for easily found ingredients at most supermarkets. Each time I’ve served it, I noticed that there are rarely any leftovers. A Parisian Leek and Potato Soup is Perfect for a Supper Bowl Supper! A few weeks ago in Paris I sampled a delicious leek and potato soup at a Left Bank restaurant called Les Sellae. 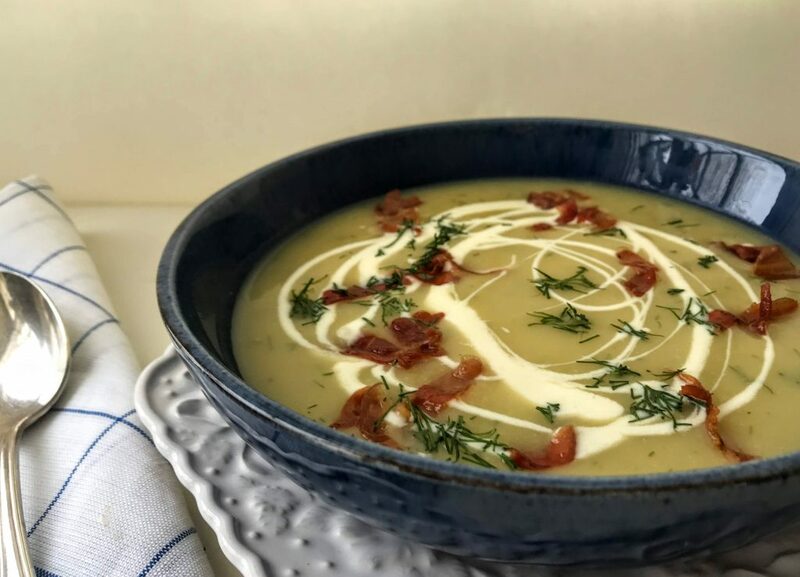 Although potato soup cooked with leeks is a classic winter offering in France, the inventive chefs had enhanced their version with contemporary touches by finishing the potage with swirls of Taleggio cream plus sprinkles of crispy speck (an Italian deli meat similar to prosciutto) and fresh dill. I tried recreating the soup with good results in Paris, and once home in New England prepared it again with a few tweaks. As I took sips of this hearty, warming soup, I had a Eureka moment when I realized that it would be perfect to serve for The Super Bowl this coming Sunday! The soup takes about 45 minutes start to finish, and can be prepared a day ahead. I replaced the speck with prosciutto and sautéed the julienned slices several hours ahead. For the Taleggio cream, I simply melted bits of the tangy Italian cheese in simmering cream at serving time. 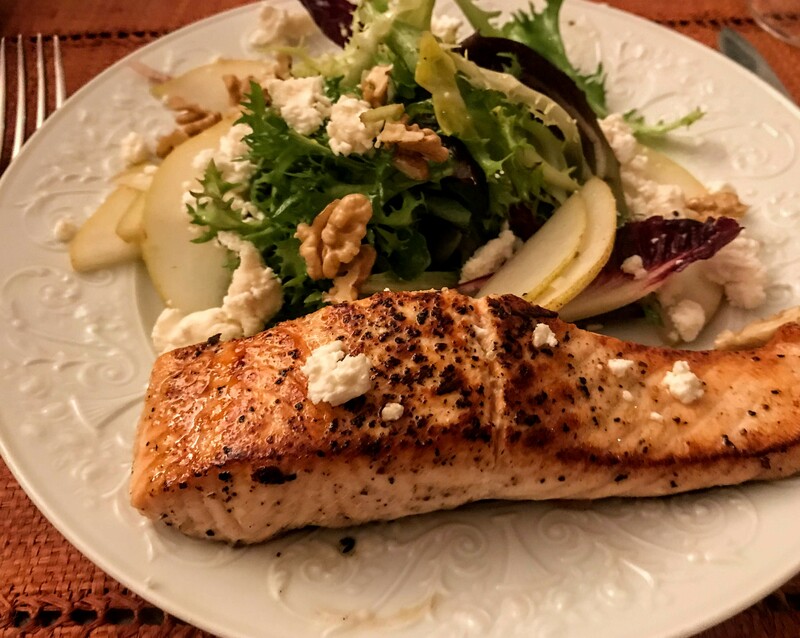 To round out the menu, add a salad of mixed greens tossed in a lemon and shallot dressing, a warm crispy baguette, and a bowl of pears, grapes, or apples served with your favorite homemade cookies. 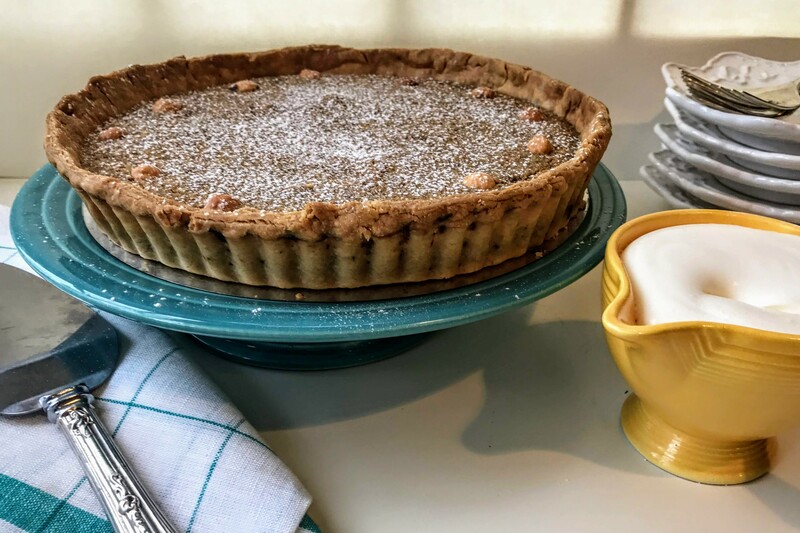 What I love about the French is their willingness to absorb the best of other cuisines—whether specialty dishes or ingredients–into their own culture’s cooking. Today, it’s not uncommon to see lemongrass, yuzu, or burrata featured on Parisian menus. And, the French have their own versions of such all-American favorites as hamburgers, cheesecakes, and crumbles. Creative interpretations of gazpacho and risotto abound as well. 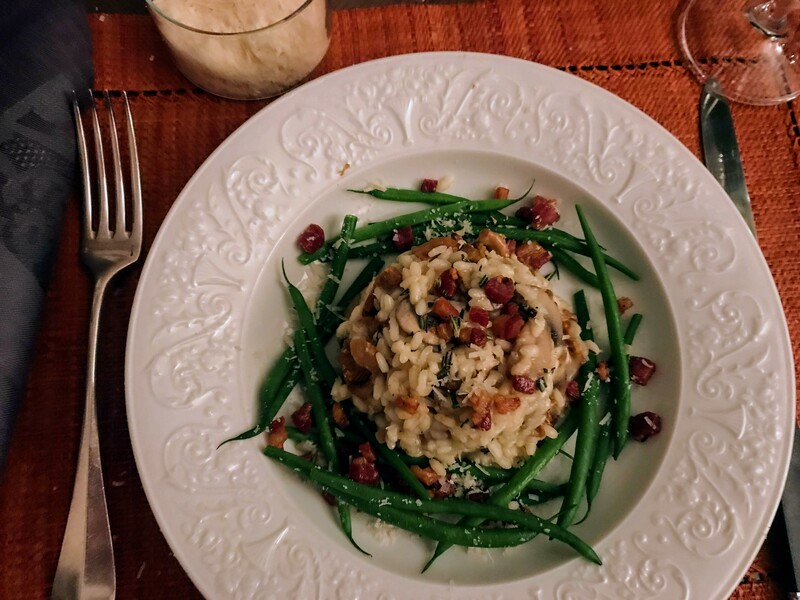 In fact, I made my own version of risotto with French accents this past week! Since our arrival in Paris last week, my husband and I have eaten with little attention to calories. We’ve swooned over slices of silken-smooth foie gras and rich, cream-laden soups. We’ve sampled perfectly roasted duck, fork-tender braised lamb, and tried cheeses from every corner of France. And, we’ve finished meals with decadent desserts, including the French New Year’s favorite, gâteau des rois (the kings’ cake). After these indulgences, we needed to change to lighter fare, if only briefly! So, inspired by the many green grocers on our street, I made a bountiful main course salad served with pan-seared salmon fillets. 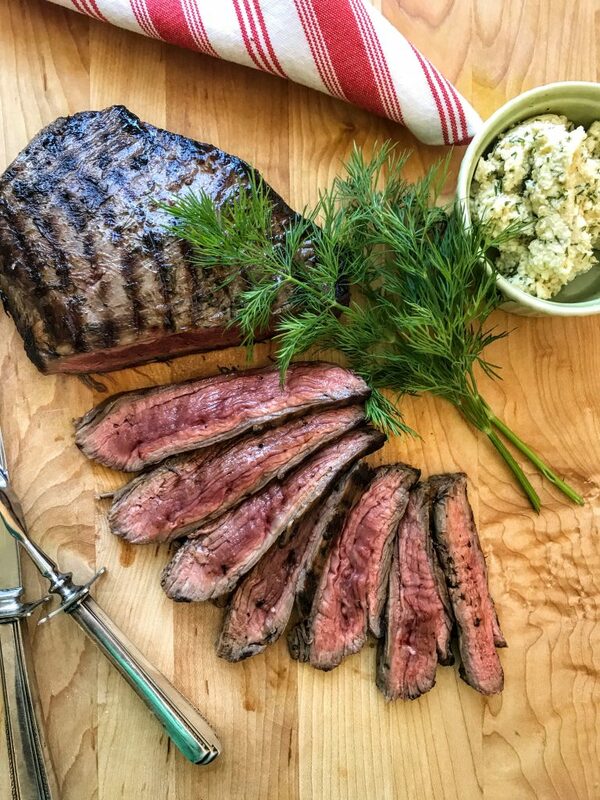 Although I am not hosting Christmas dinner this year, I am helping cook it with my son, who has decided that herb-rubbed and roasted beef tenderloin served with creamy mashed potatoes and root vegetables will anchor the menu. We haven’t discussed desserts yet, but I know what I am going to suggest– a scrumptious hazelnut and coffee tart that can be baked a day ahead. And, it is also easily transportable by car.